#RedCoatTuesday - black and white edition! Today is a special Red Coat Tuesday! 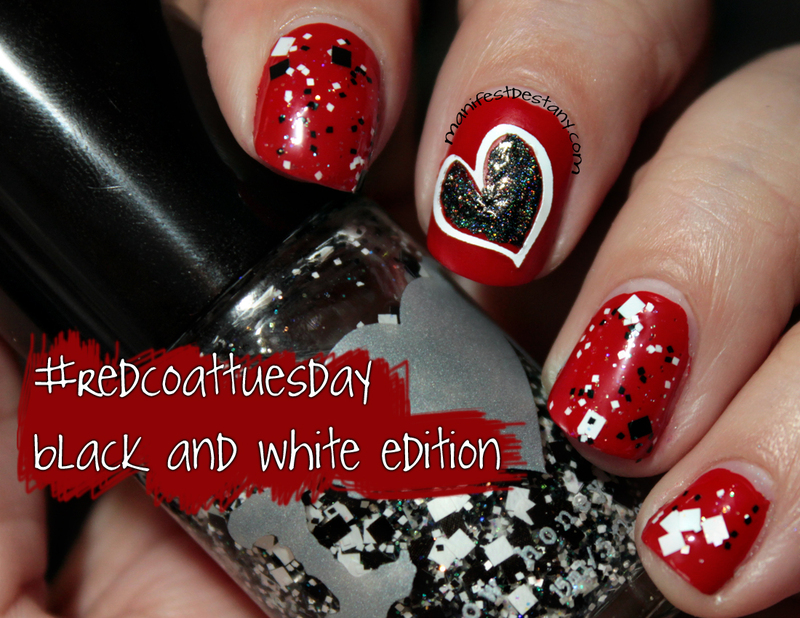 In honor of tonight's throwback black and white episode of Pretty Little Liars, Red Coat Tuesday has gone black and white! The red I used for my base is BK matte polish #12 in red (that was sent for review) from Born Pretty Store. It's a beautiful bright red matte that I was very nearly able to get just one coat out of! 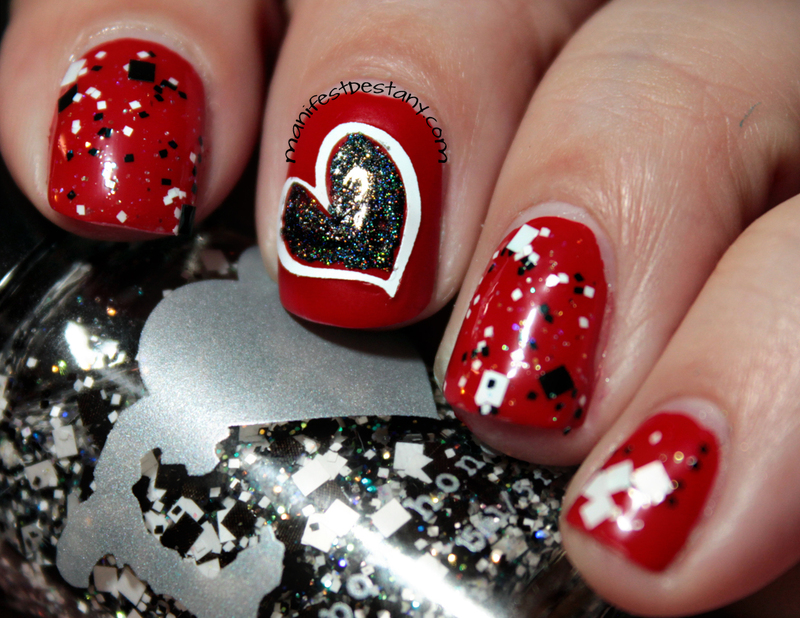 Had I paid closer attention to what I was doing, it would have been a one-coater :) The black and white glitter is Rainbow Honey Yoshimi (which I purchased with my own money), and the heart on my middle finger is a combo of two things. 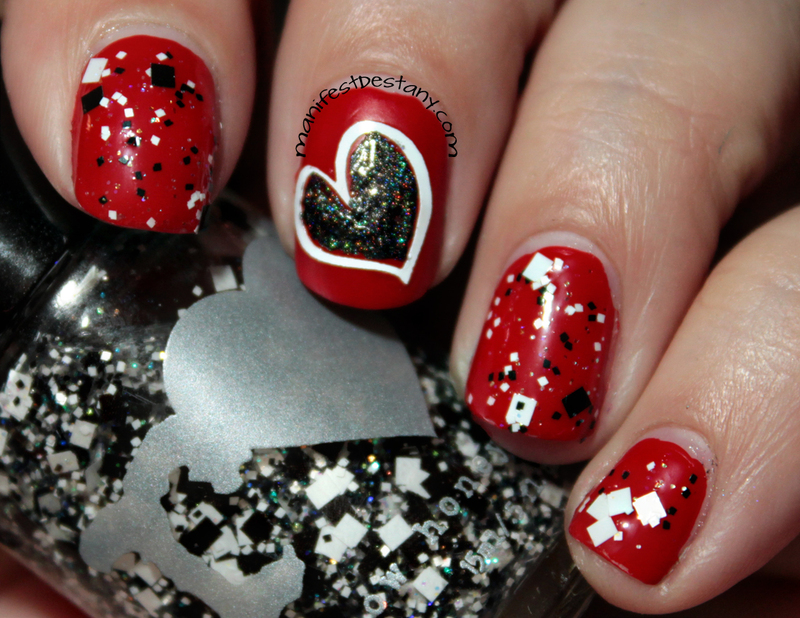 The outside ring of the heart (the white) is a decal from Vynails, and then I painted Color Club Beyond on the inside of the heart freehand. I was sent both the latter for review. 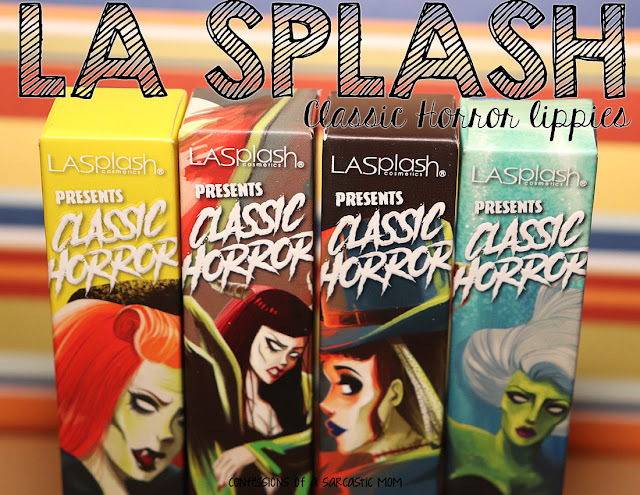 Here are some swatches of the matte red base alone. I love the way this looks! So smooth and silky...almost like wax!